(Reuters) - German generic drugmaker Stada said it has received two offers for the acquisition of the company, one of which is private equity group Cinven Partners LLP. Cinven is offering a price of 56 euros per Stada share. Stada did not mention the name of the other bidder. The company said it is still weighing its options and says it is "not possible to foresee whether a takeover offer from Cinven or the other potential bidder will materialise." 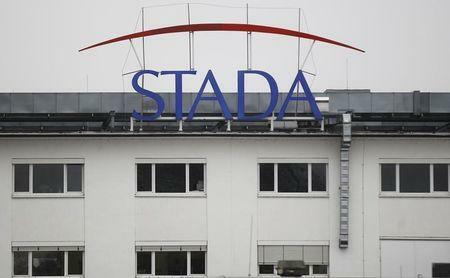 In August, the chief executive of Stada, Matthias Wiedenfels, under pressure from activist investors to reform the company's governance and replace board members, promised a more modern, dynamic approach to running the company. Stada steered clear of major merger deals last year as the generic drug industry began consolidating to cut costs, driven by larger players including Teva and Allergan . Stada had focussed instead on branching out into branded consumer care and cosmetics products as well as diagnostics kits.